I had a high school religion teacher who wore ugly sweaters like it was her job. She did it with a straight face. Without an ounce of irony. She rocked those things on the daily and looked a hot mess each and every time I saw her. 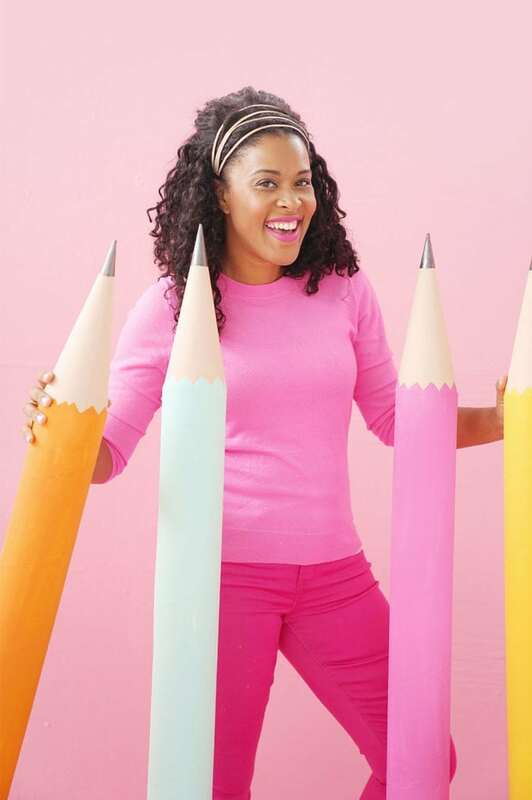 She looked like the punch line to every joke ever told….but she was the religion teacher…so you couldn’t really make fun of her. Because, I am quite sure that gets you a one-way ticket to the fiery down under. But now that I think about it, the joke’s on us. Turns out her ugly sweaters are cool again. Sort of. 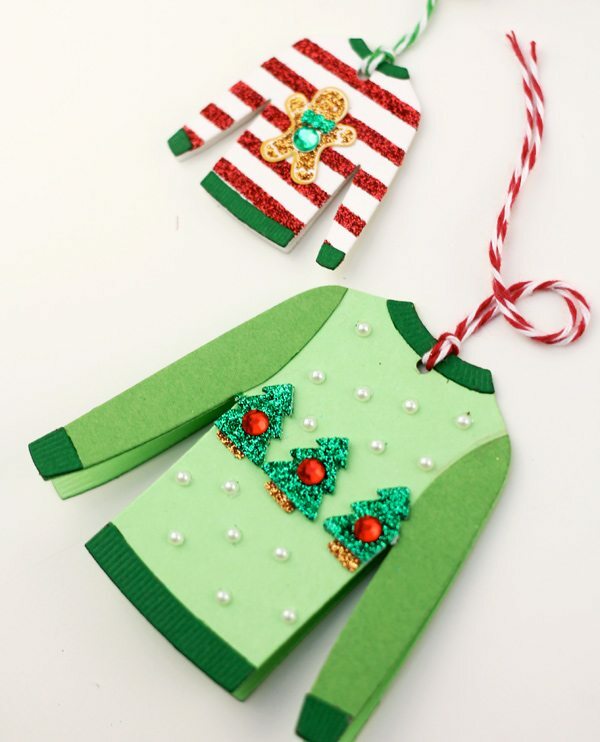 The whole ugly Christmas sweater phenomenon is alive and well – and has now reared it “ugly” head in the craft world, where ugly Christmas sweaters are popping up all over the place. 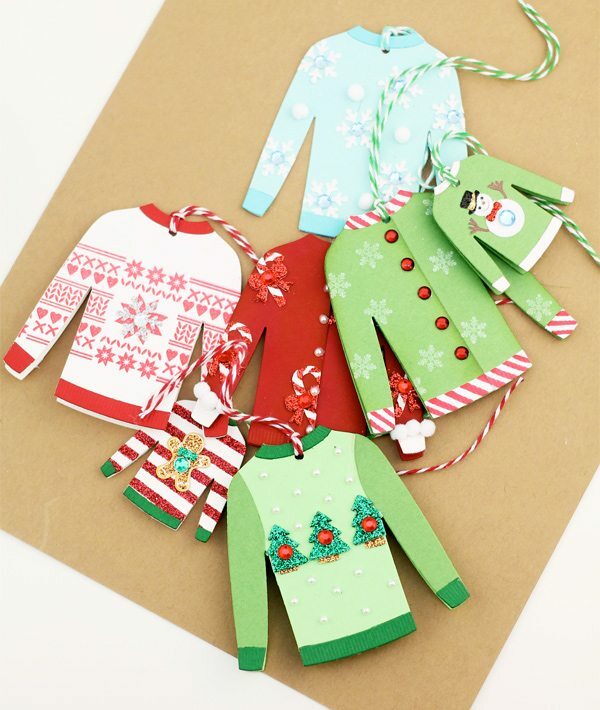 My Favorite Things is one such place where you can find all your crafty ugly sweater needs with their new Comfy Sweater Die-namics set. 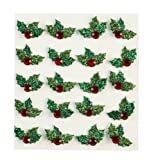 I grabbed up these dies as soon as I saw them and today, I’m gonna walk you through my idea for an Ugly Christmas Sweater Party. 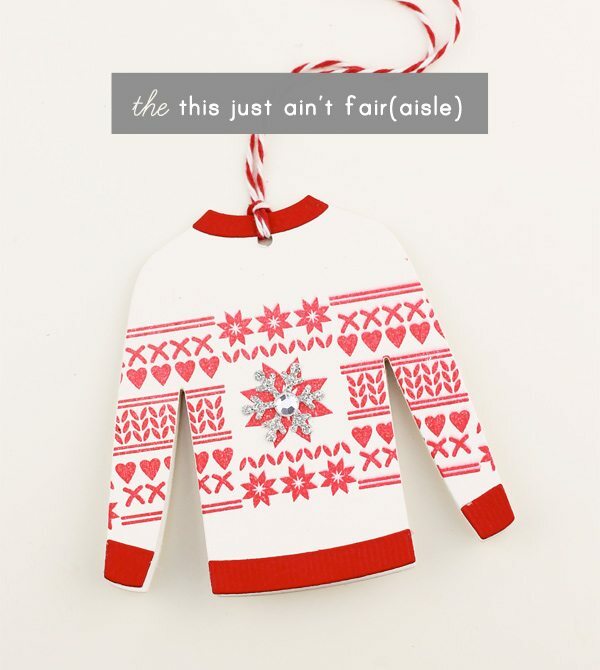 Now, most parties of this nature require your guests to show up donning some wretched beast of a sweater that looks like it was rescued from the clearance rack of a Cracker Barrel. My version of an ugly sweater party is much less itchy. 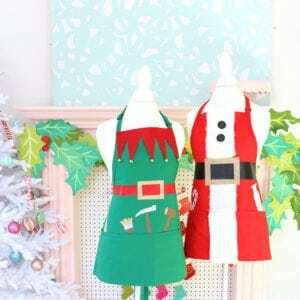 My version is all about the crafting! 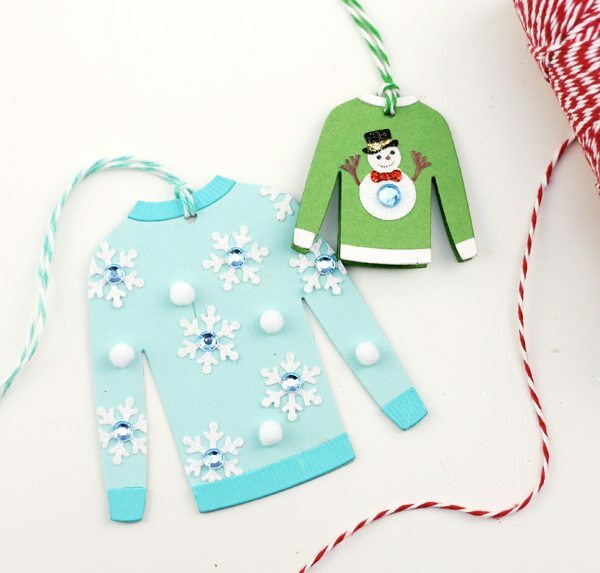 Get your friends together and craft up the ugliest sweaters you can imagine…and the best part is…it’s impossible to mess up! The uglier, the better. 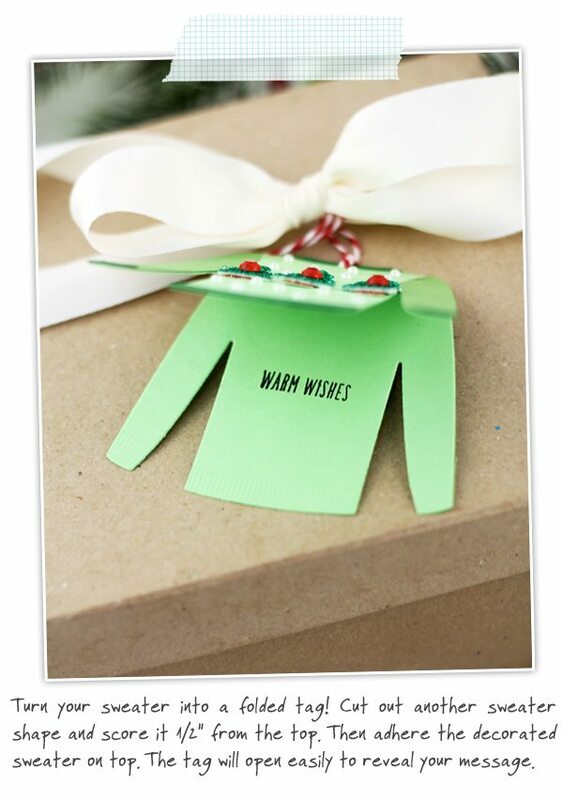 For this party, use the My Favorite Things Sweater Dies to create holiday gift tags that are oh so cute…I mean, ugly. 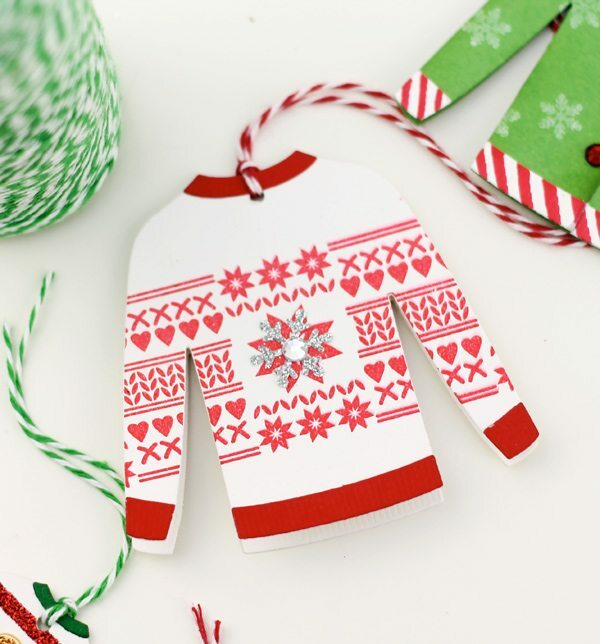 The supplies you’ll need to host a crafter’s ugly sweater party are easy to find at your craft store. Just load up on embellishments that catch your eye. The gaudier the better! Throw everything out on the table and let your friends get creative. You can pre-cut a bunch of sweater shapes so that everyone can get right to it. The goal here is to make assembly easy! 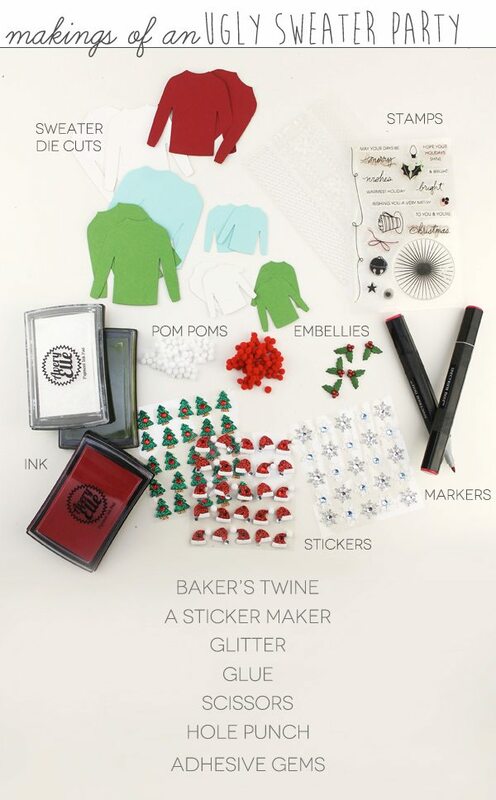 Steer clear of supplies that require lots of time and effort like heat embossing or laborious coloring. 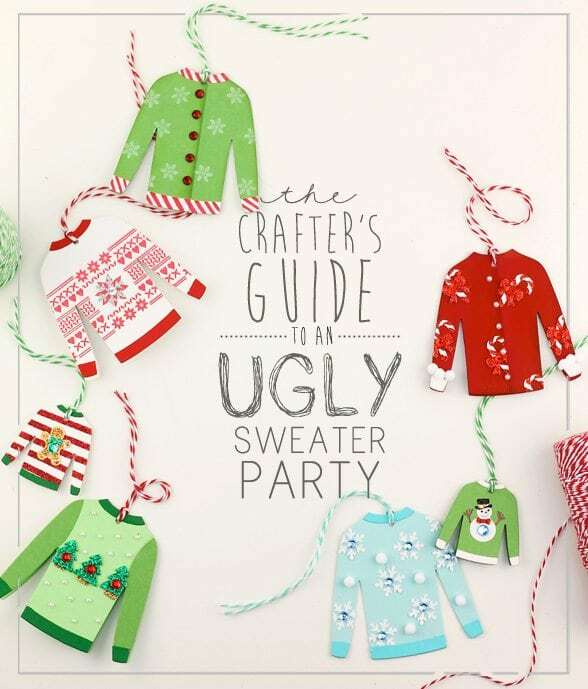 Have I convinced you that you need a crafty ugly sweater party in your life!? It is really so much fun to create these guys! Swing by the MFTStamps shop to get the Comfy Sweater Die-namics. It’s the building block for this project, so you’ll wanna have it! 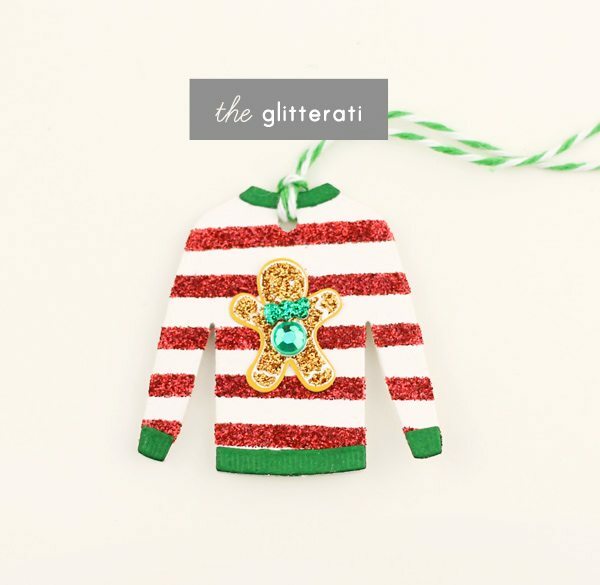 From there, have fun picking out tacky embellishments that will make your sweater tags as ugly as humanly possible. 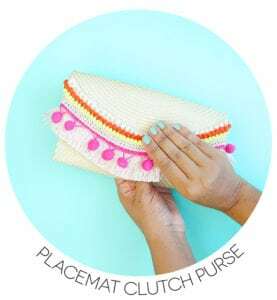 This DIY project is amazing! I love it so much! Oh my gosh!! Absolutely hilarious!! Love this post!! What a great version of an ugly sweater party!!! How fun! I bet you were laughing the whole time! I think this is hilarious! 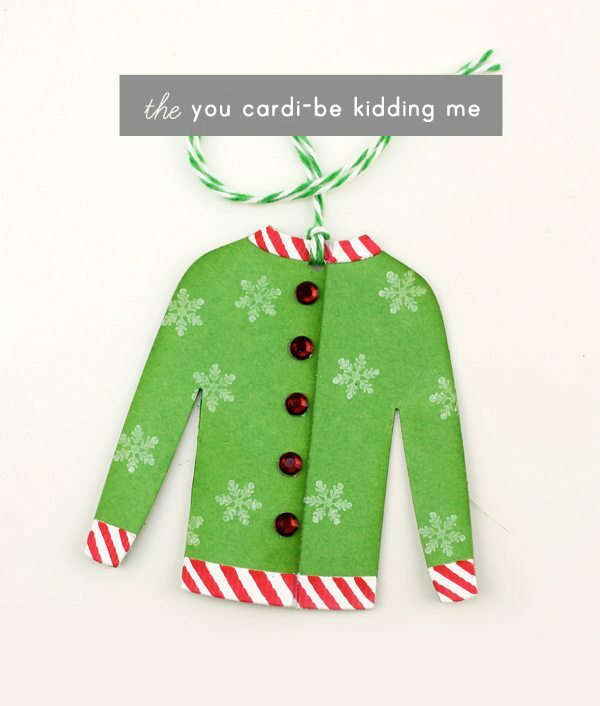 It is perfect for Christmas and we all know someone who has worn or have been guilty of wearing..ahem an ugly sweater. Thanks for this great project. Love it! 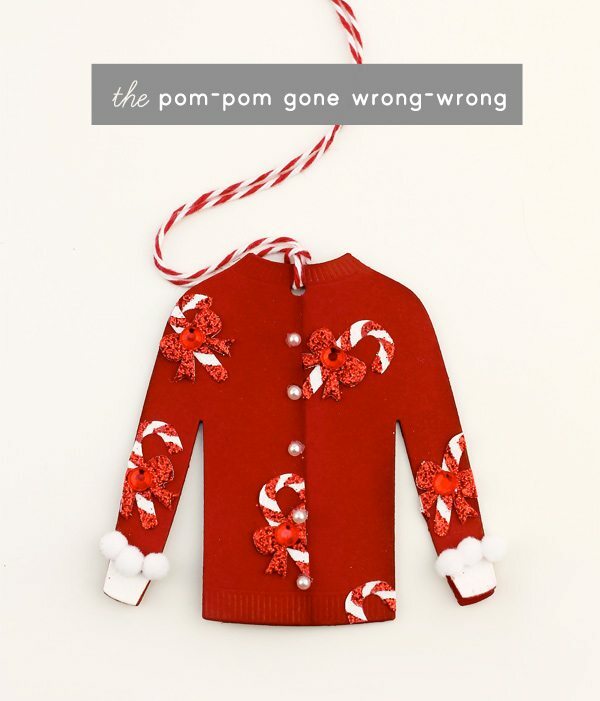 As much as I hate ugly sweaters, this post has inspired me to go buy an ugly sweater and host an Ulgy Sweater Party! Love, love, love! You’re hilarious! 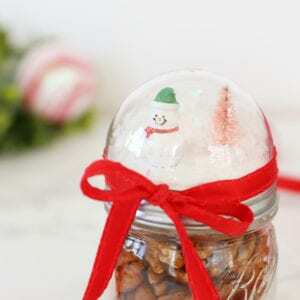 Now I want to make some as well! Big hugs! Oh I needed this laugh today! 🙂 The sweaters and their names are so cute & funny. 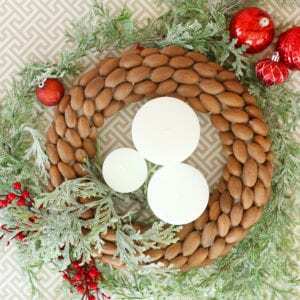 I just recently stumbled onto your blog, and I really enjoy it. Thanks for sharing your talent and sense of humor! Amber, I love your take on the ugly sweater. Great job and you didn’t use the Cricut Explore. 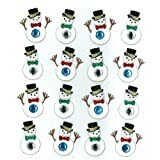 OMG, how freaking cute are these?! I just love them all! 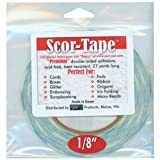 Amber, I am so, so, so very disappointed about not getting in on the Cyber Deal for the Cricut Explore! 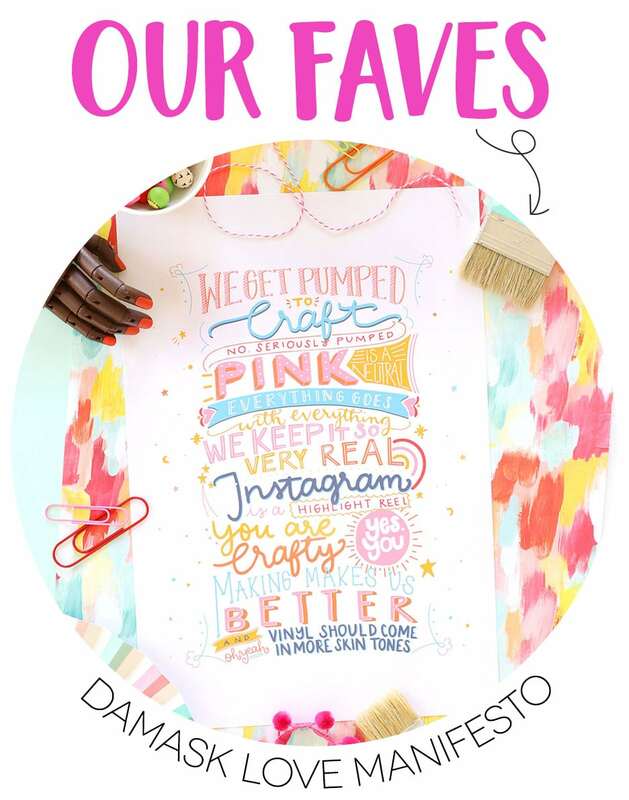 I have been checking your blog every day (which has become a part of my crafting routine LOL!) and I have not received any new posts from you since before thanksgiving. I had been participating in the giveaways and everything I all of a sudden was not able to open any new posts. They just stopped coming through. I have been checking daily but nothing new. Today I had to go to the Archives to pull in today’s blog post. This is like the second time this has happened to me on your blog. I guess it’s some kind of computer glitch. Bummer!! However, I will keep looking out for any new deals for this machine because I really want one! If you happen to cross any other deals for this machine please, please let me know. Thanks! This post was so funny that I literally laughed out loud! 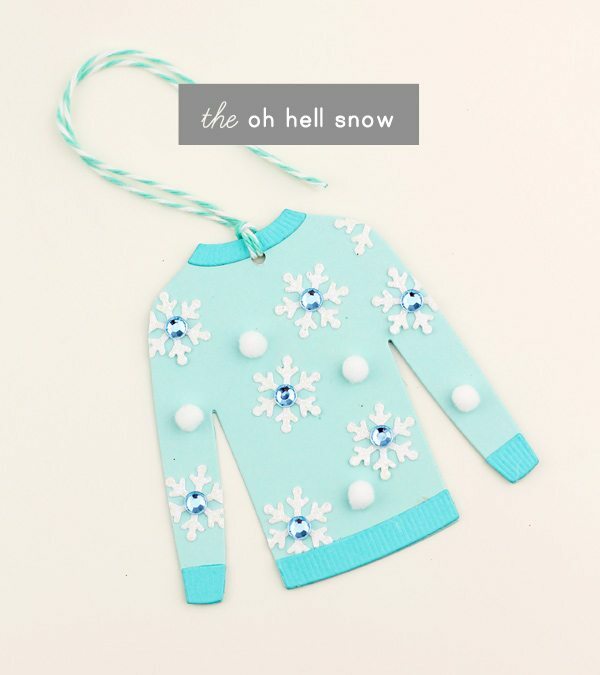 The titles of these adorable and not- ugly-at-all sweaters were just hysterical! Thanks for the inspiration! 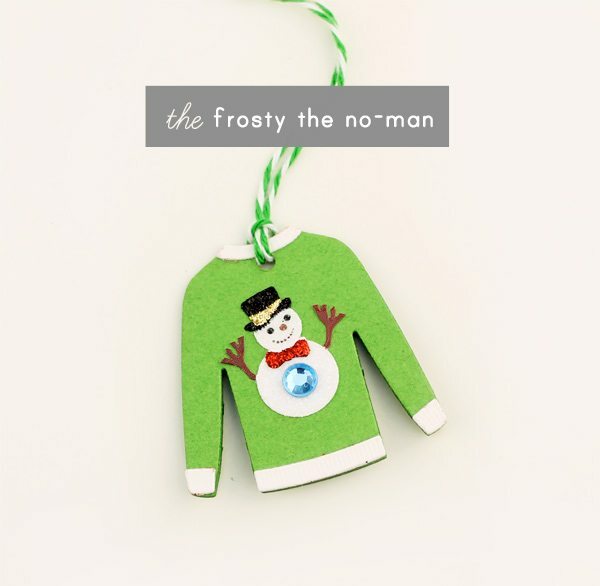 I don’t know what’s better the designs, or the names of your sweaters! So fun, Amber! These are TOO cute. 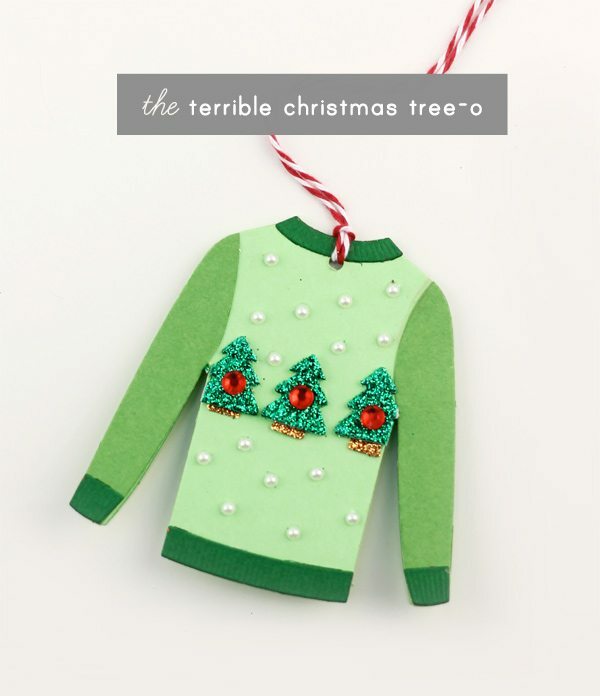 I’m looking for an ugly sweater for an office party next week. Hot commodities! This is SO much better than actually attending and wearing an ugly sweater. Been there, done that! TFS, Amber! More like, cute sweater party!